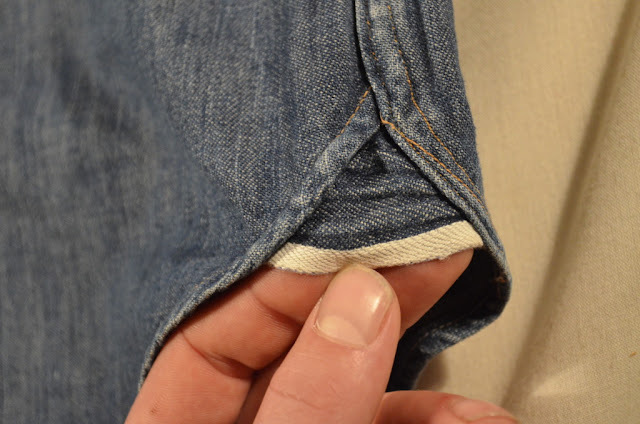 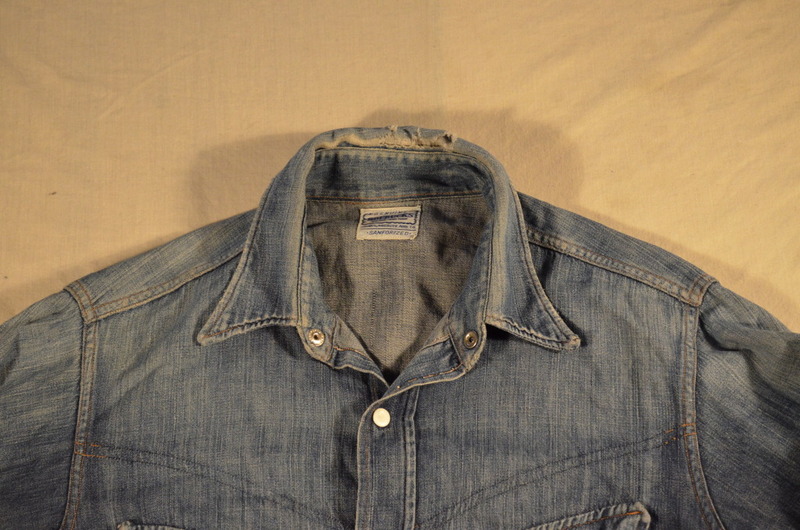 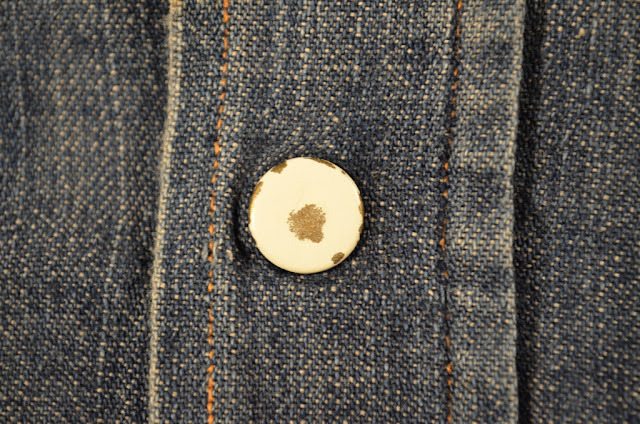 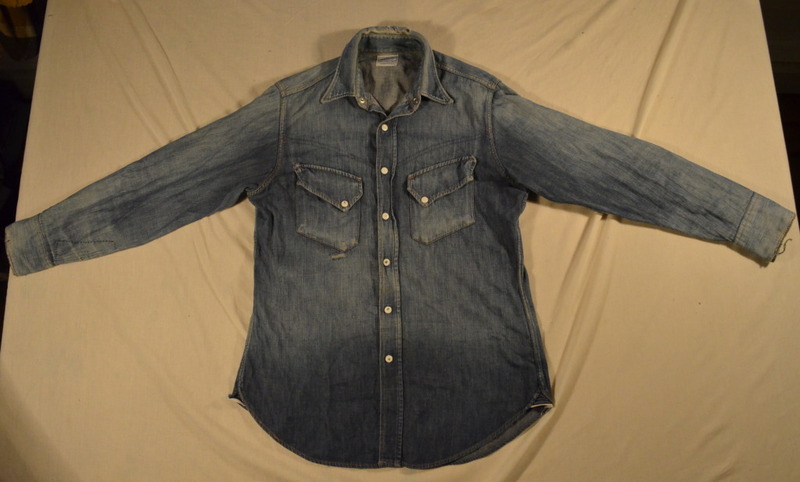 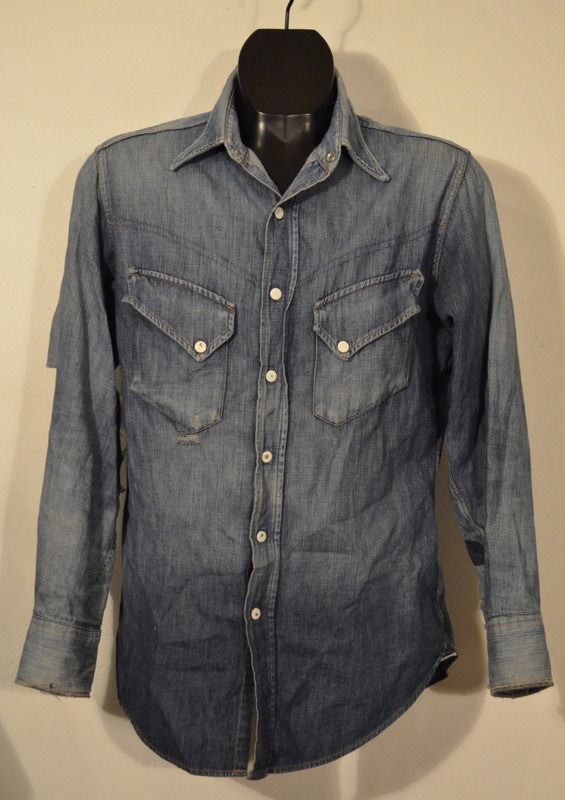 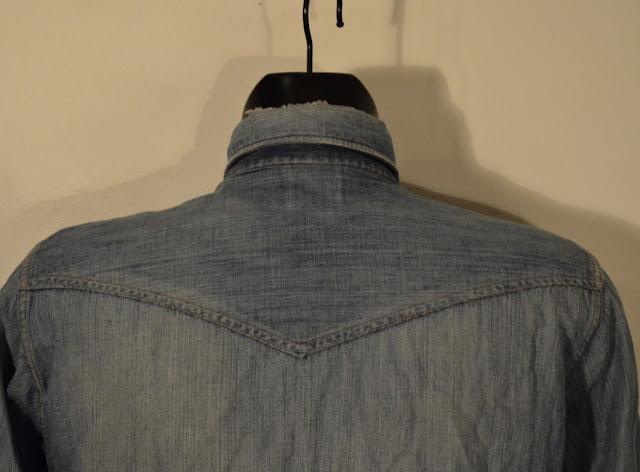 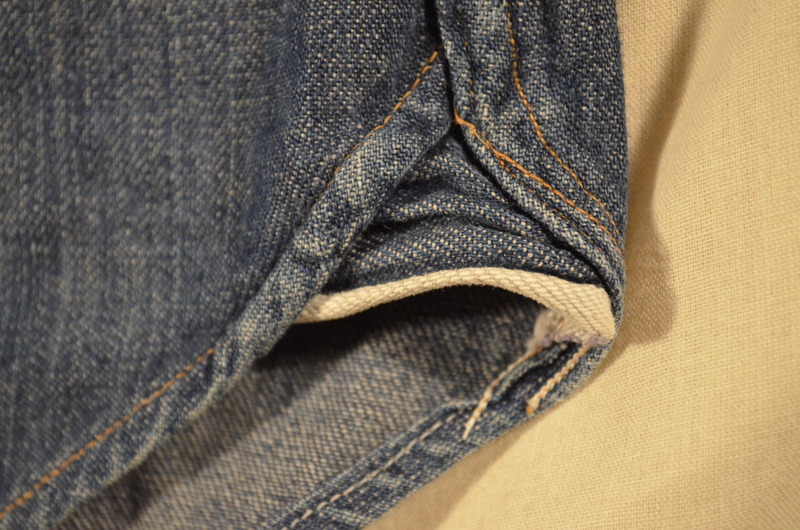 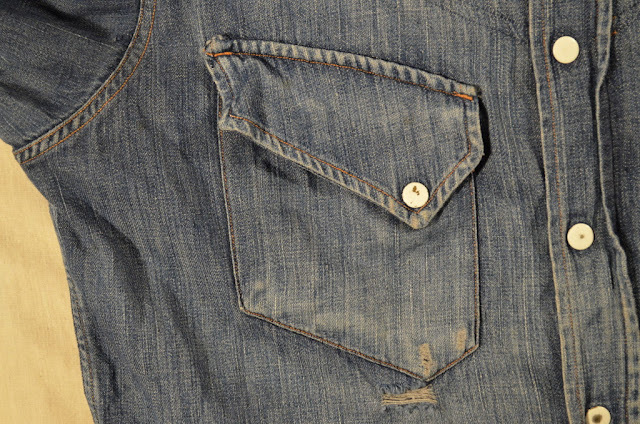 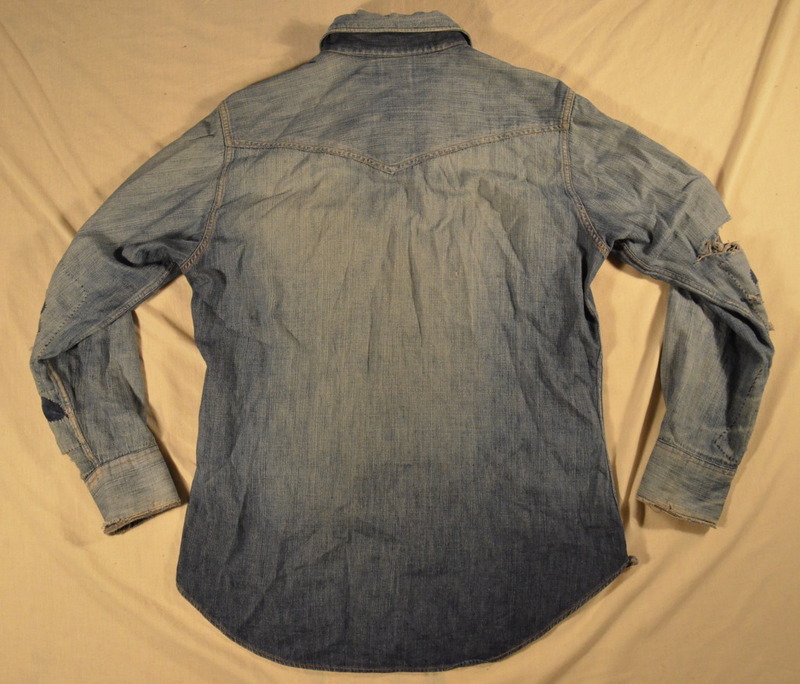 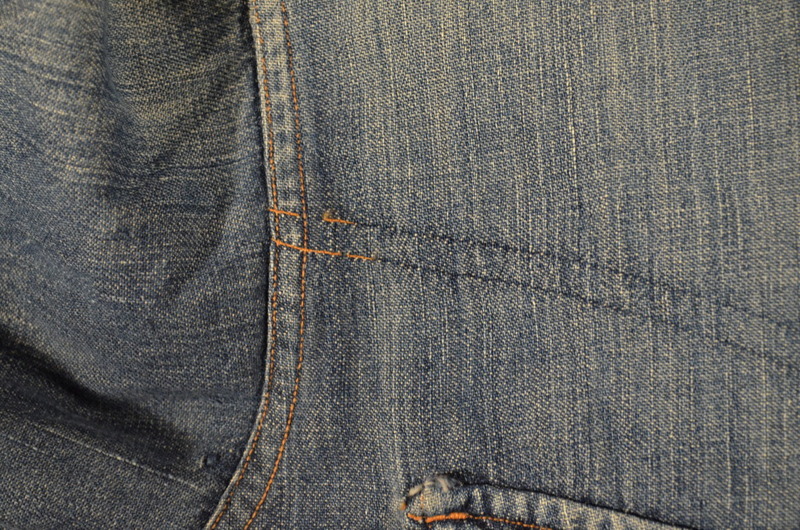 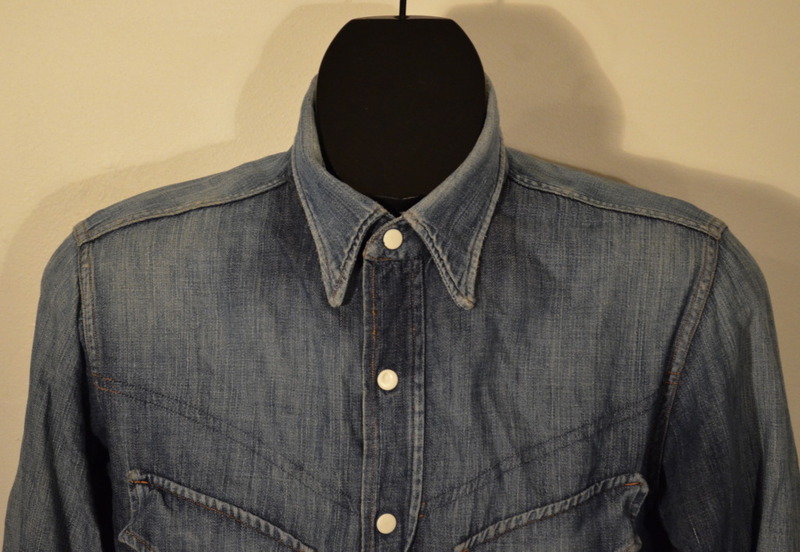 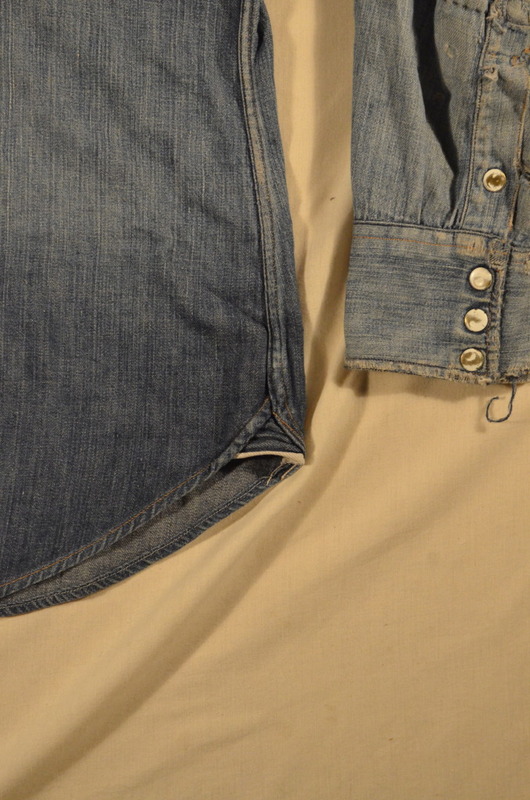 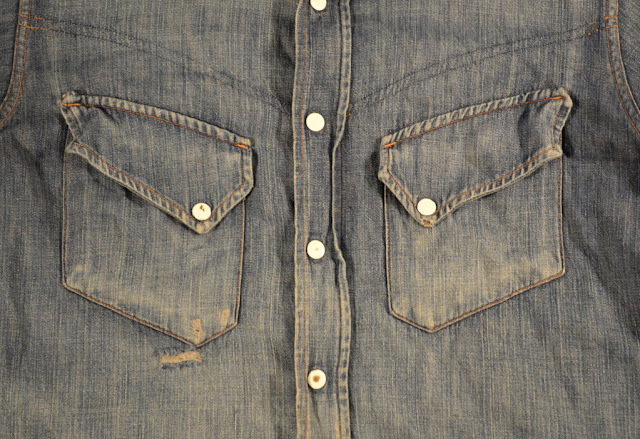 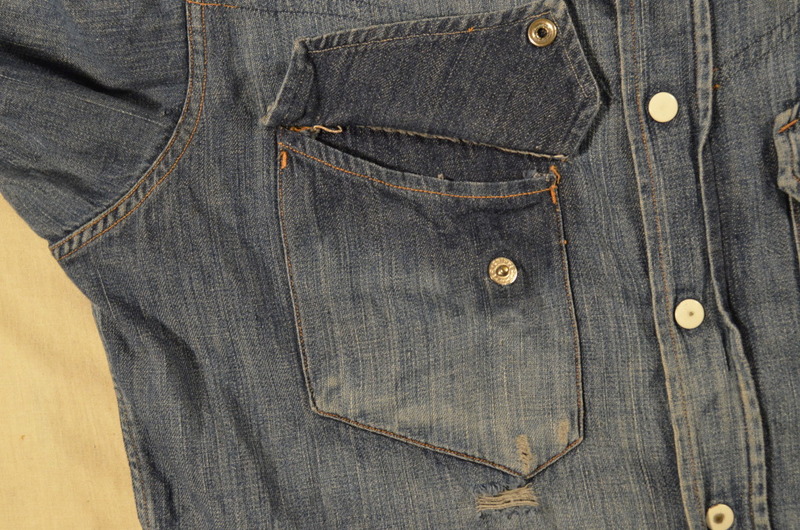 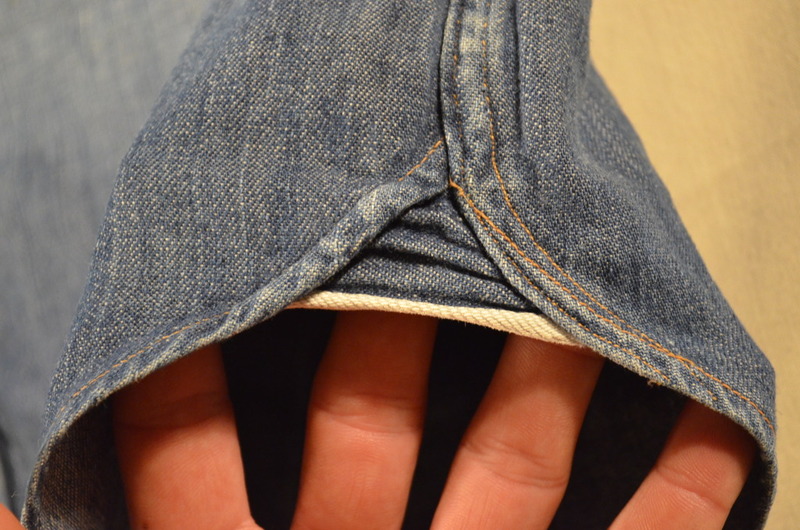 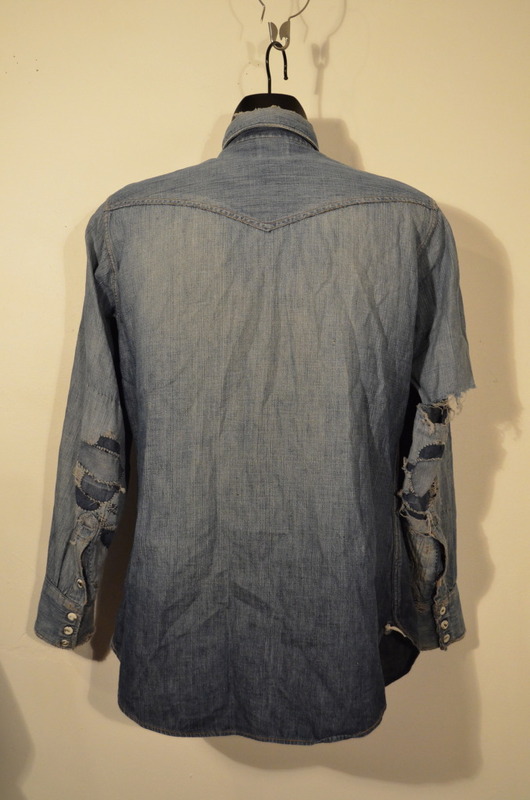 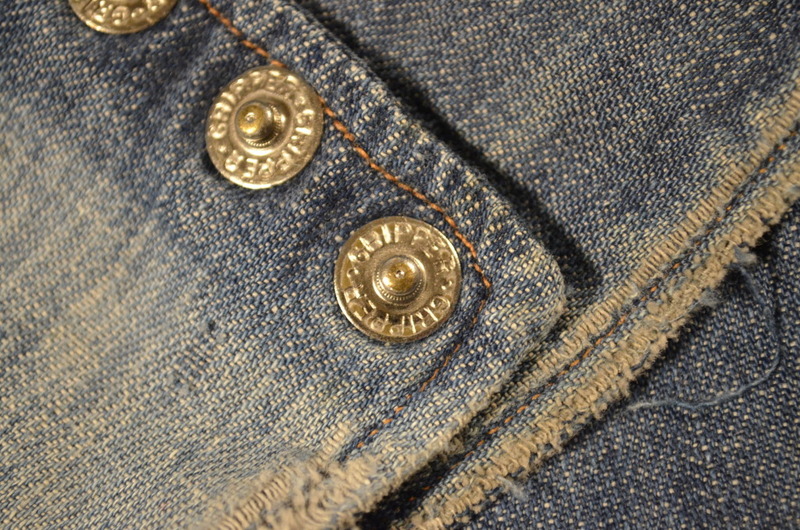 Albeit having a bit of fear, that I'll be messing with the market powers by posting a shirt, that is still up for grabs on the Bay, I'm posting some 35 pictures of one of the most beautiful and amazing denim shirts, that I have ever seen. I'm fairly certain, that this will go for a very good price despite it being shared here. 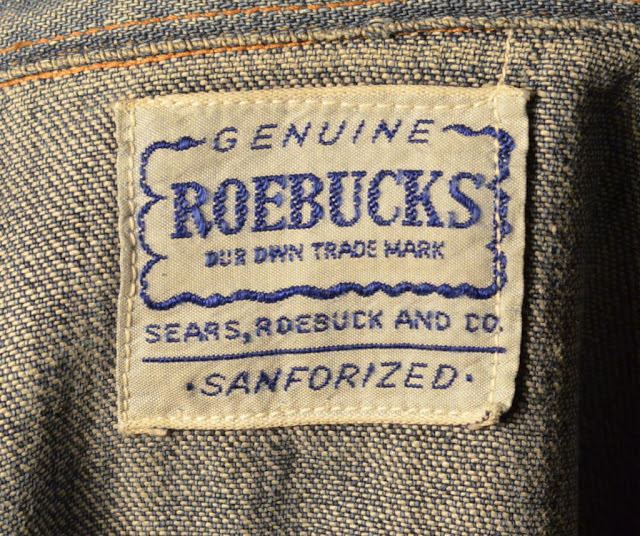 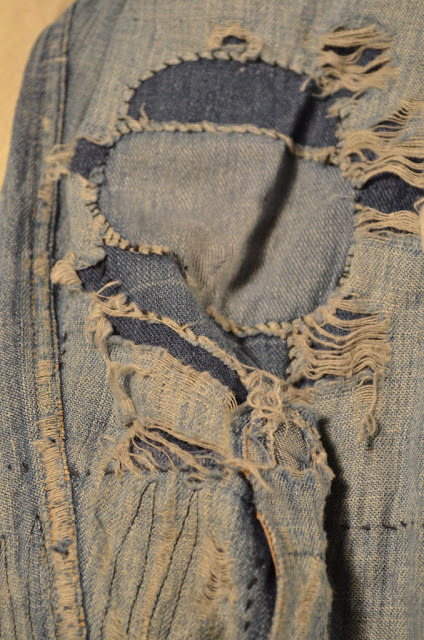 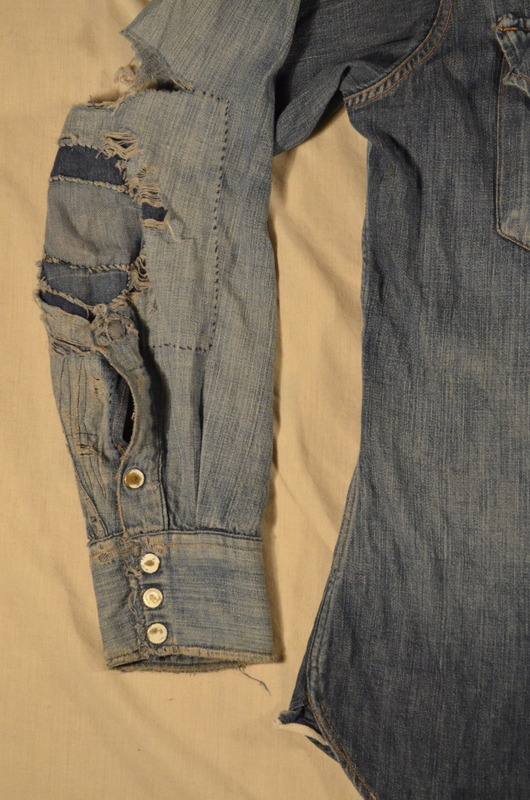 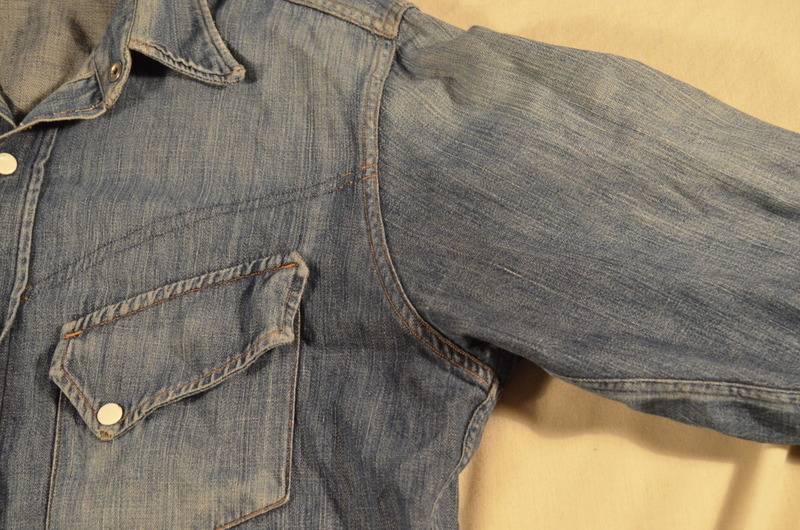 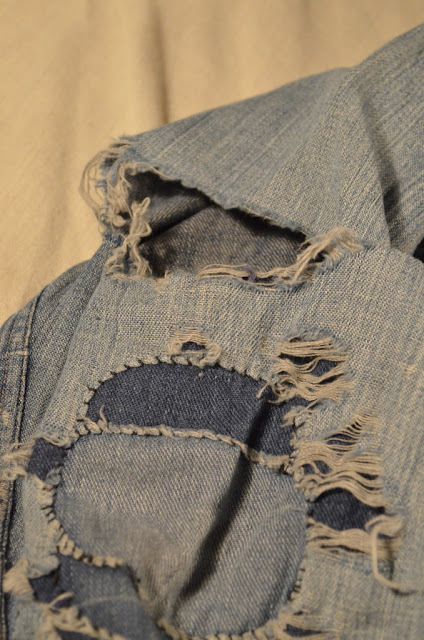 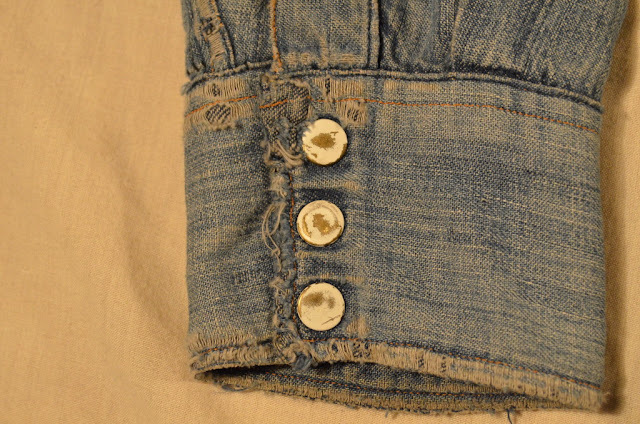 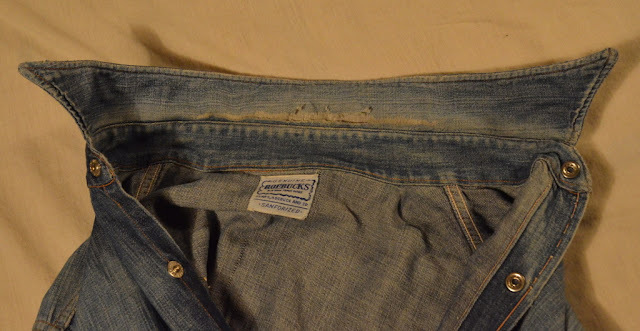 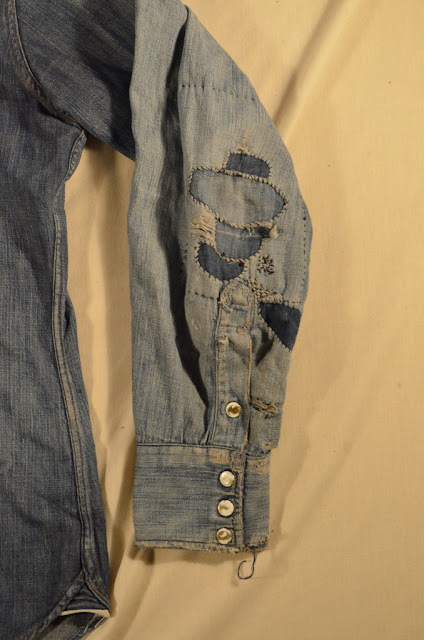 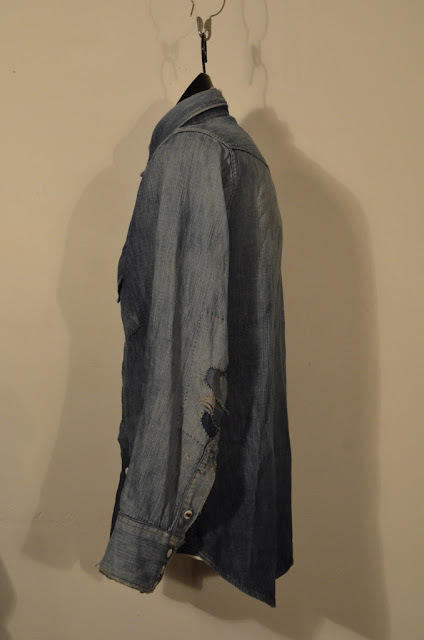 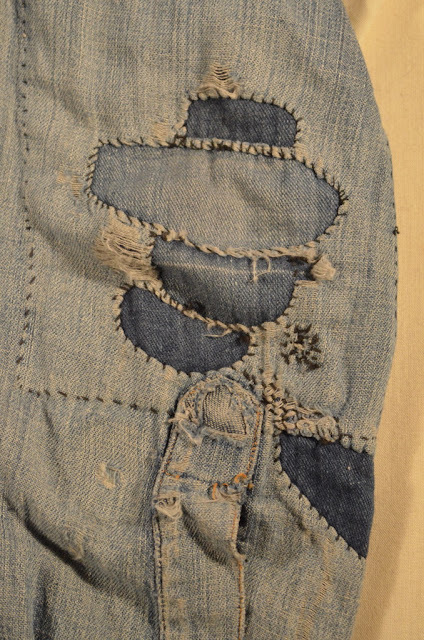 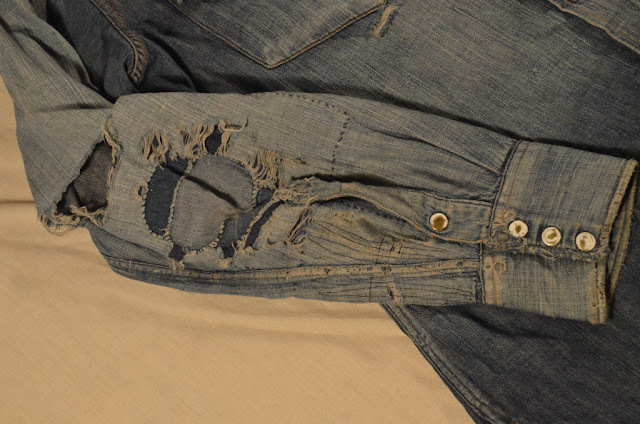 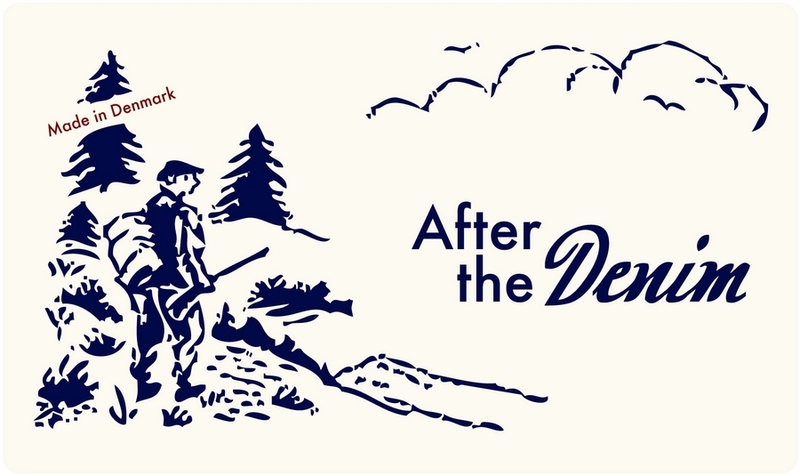 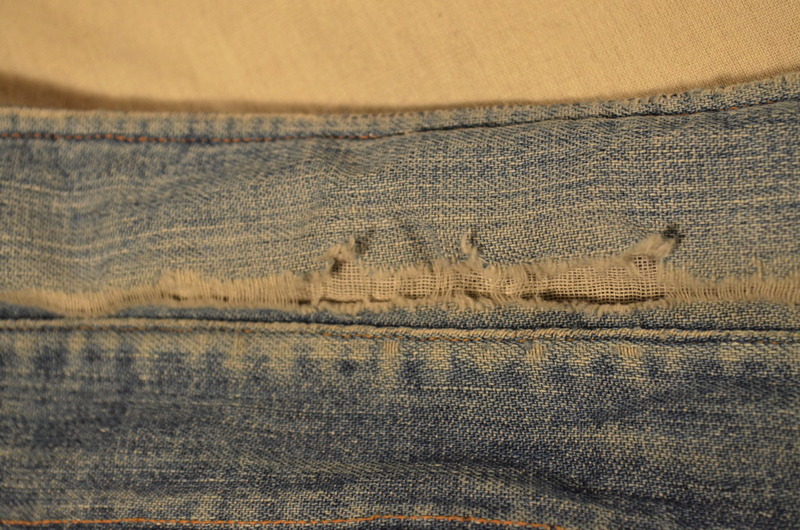 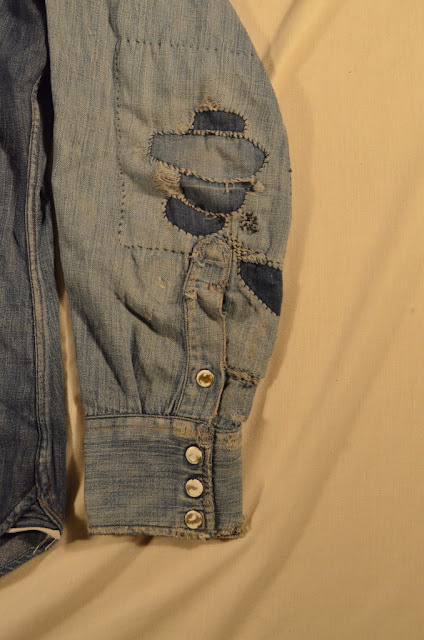 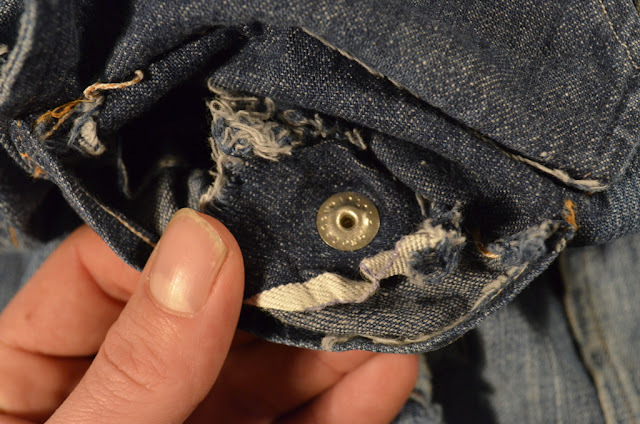 I tend to look for vintage jeans and other denim related objects on eBay quite often to look for a bargain, but mostly to get some good inspiration, or design ideas. 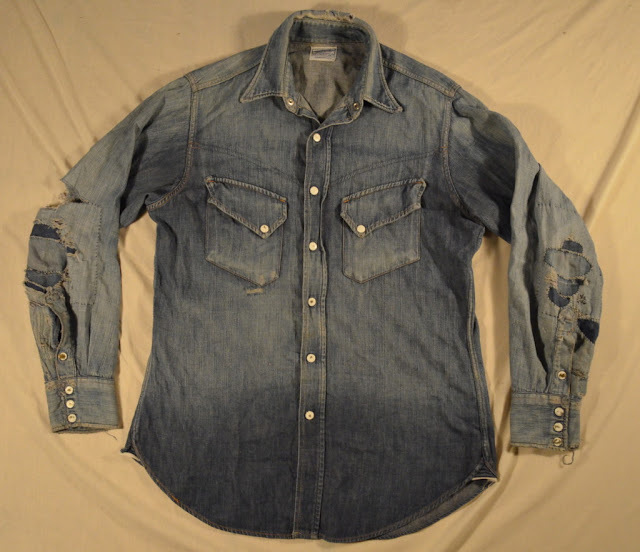 This shirt reminded me, that I should be wearing my Wrangler 27MW or possibly attempting to make my own denim at some point. 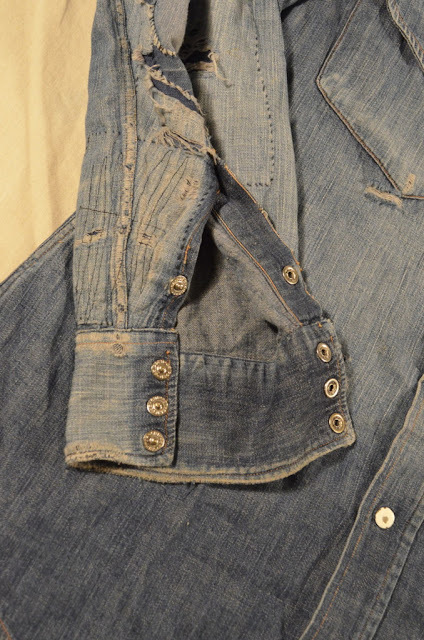 I'm guessing, that it dates from the early 50's and it was worn by a man, who wore it tucked in his pants and a man, who wore the hell out of it and repaired it in an impressive way. 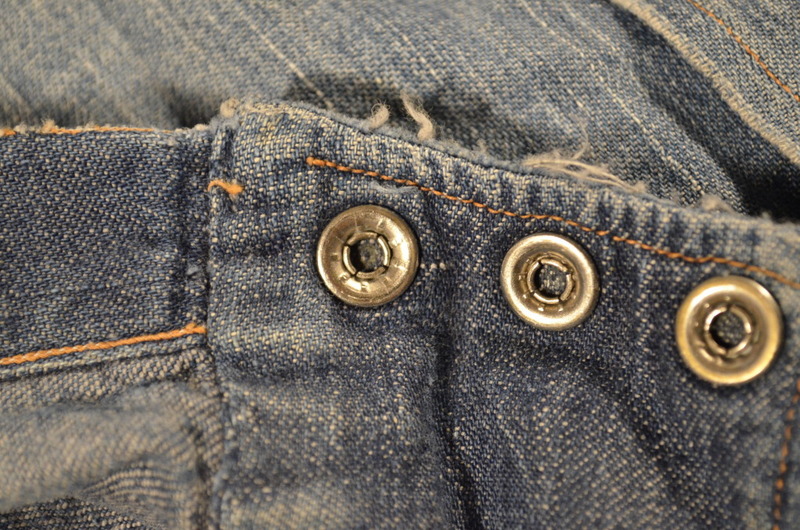 Other details include selvage guesset, painted brass Gripper snaps and the most awesome repairs ever, which I can't emphasize enough.